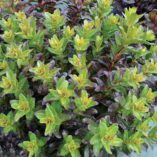 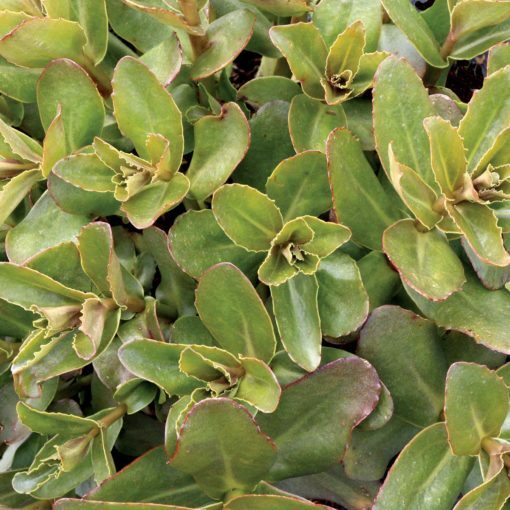 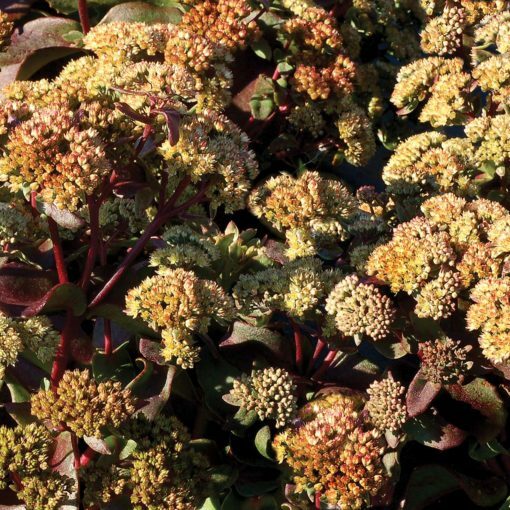 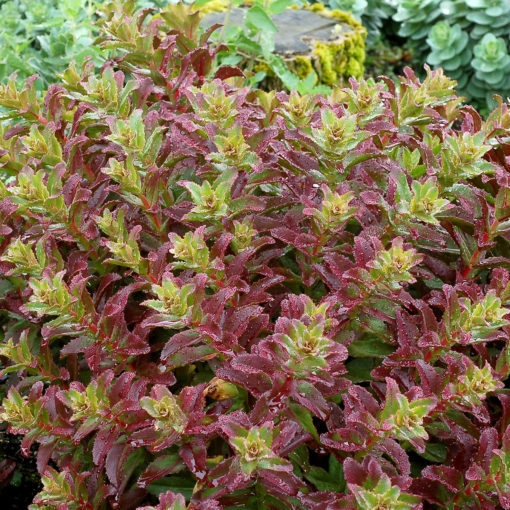 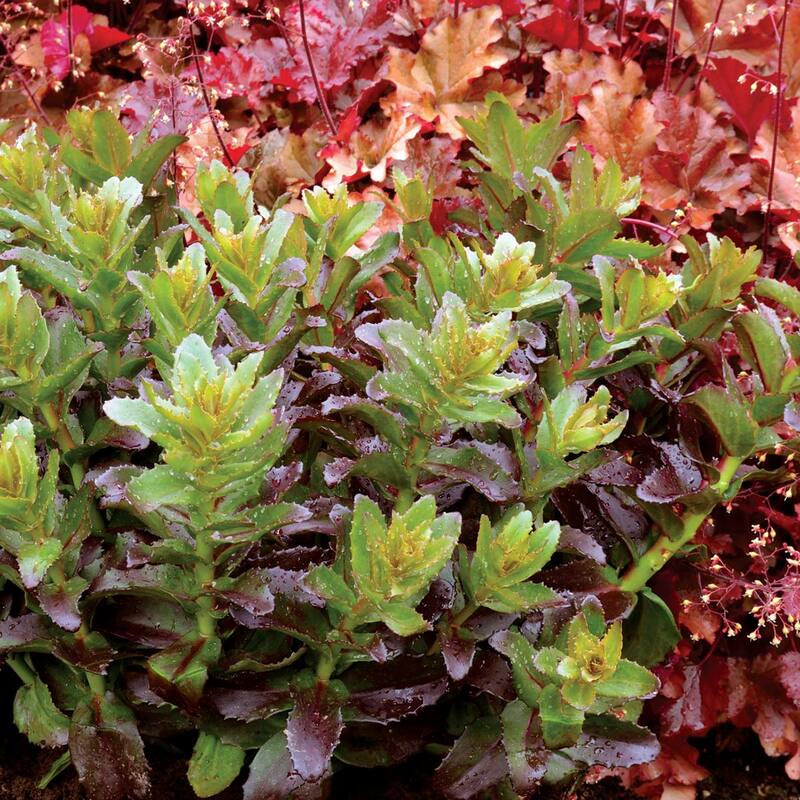 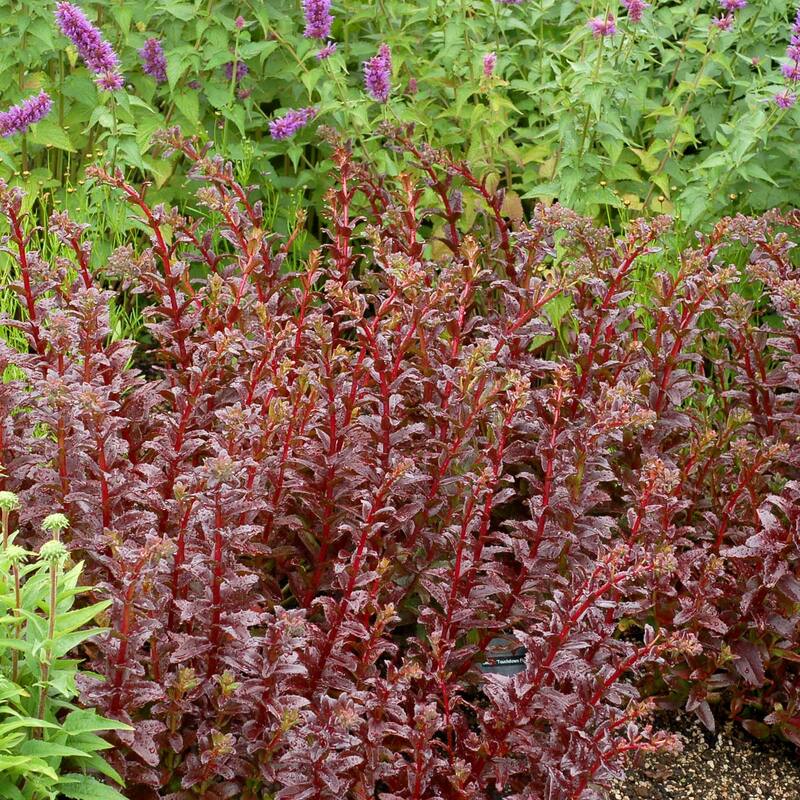 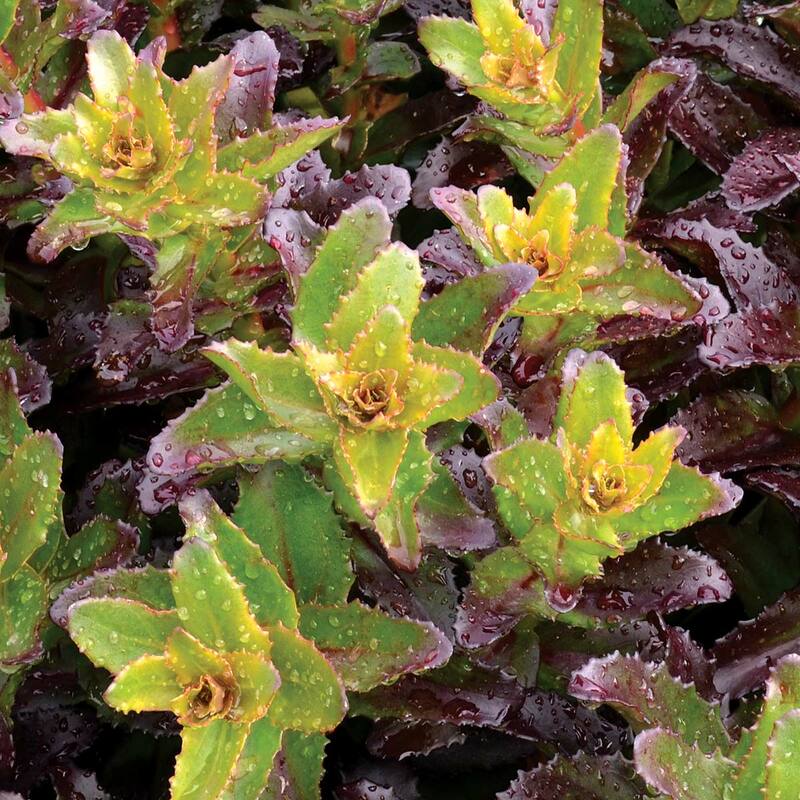 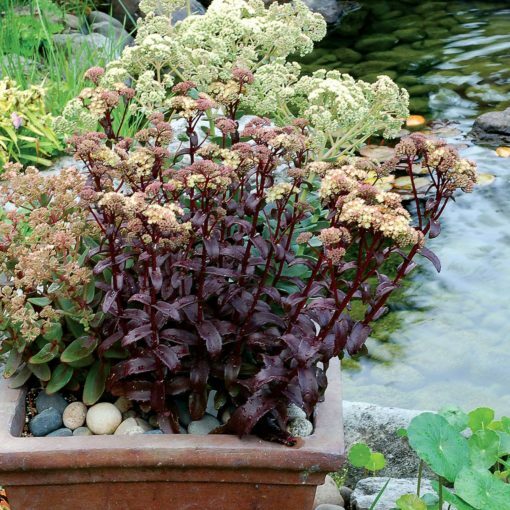 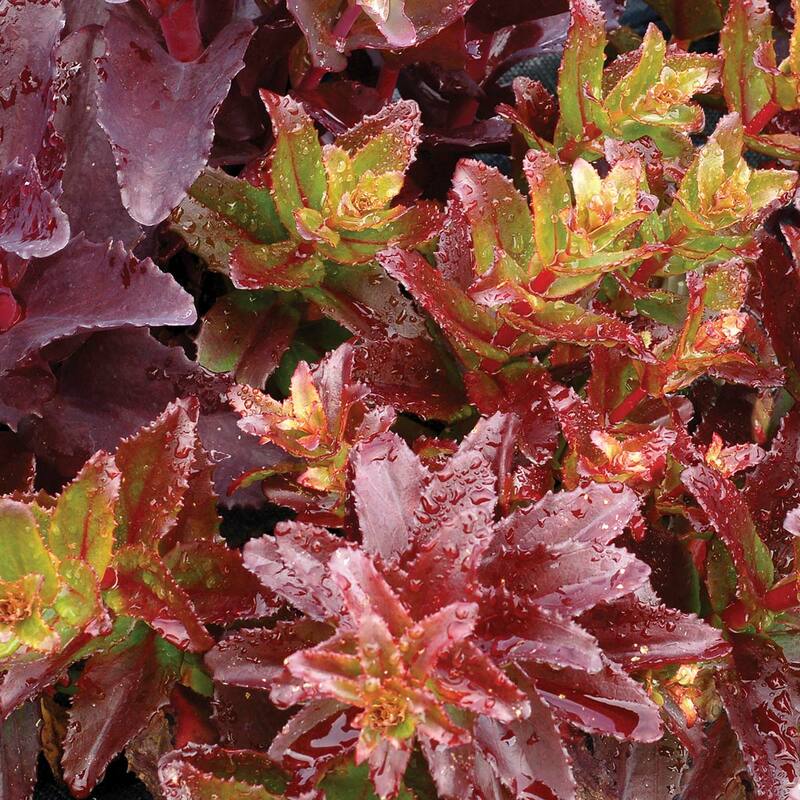 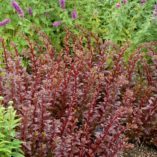 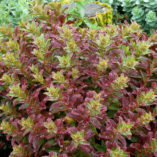 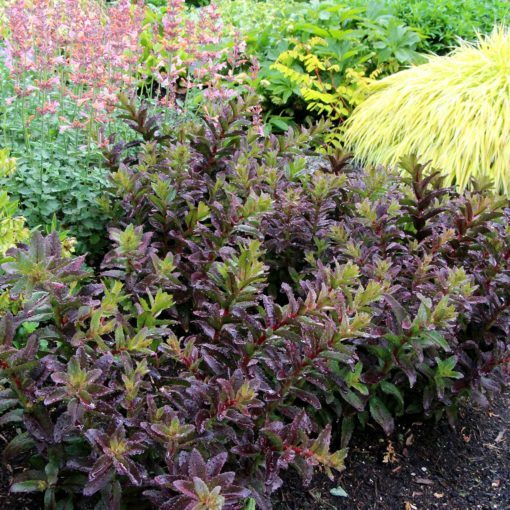 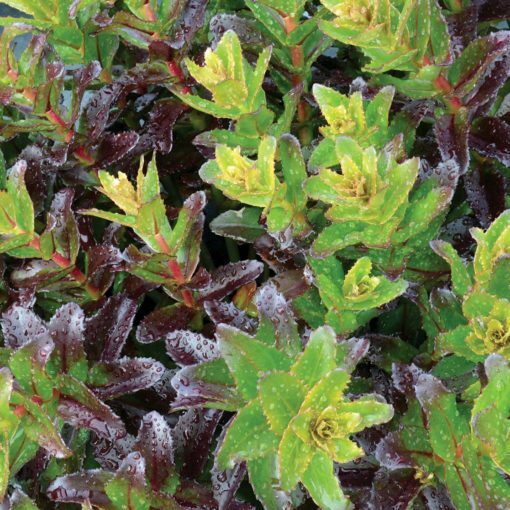 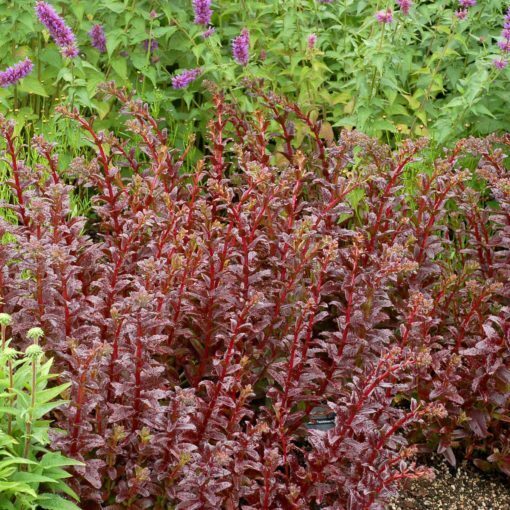 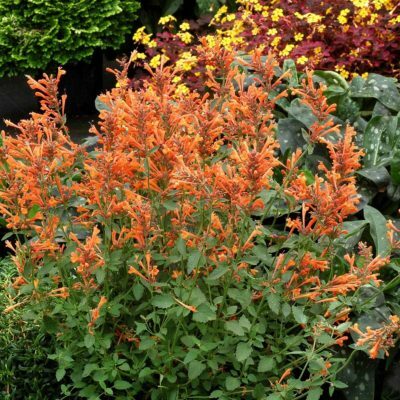 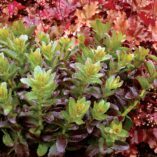 Sedum ‘Touchdown Flame’ | TERRA NOVA® Nurseries, Inc.
Wow! 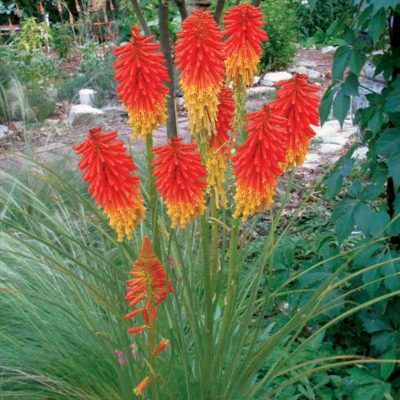 What a game-changer! 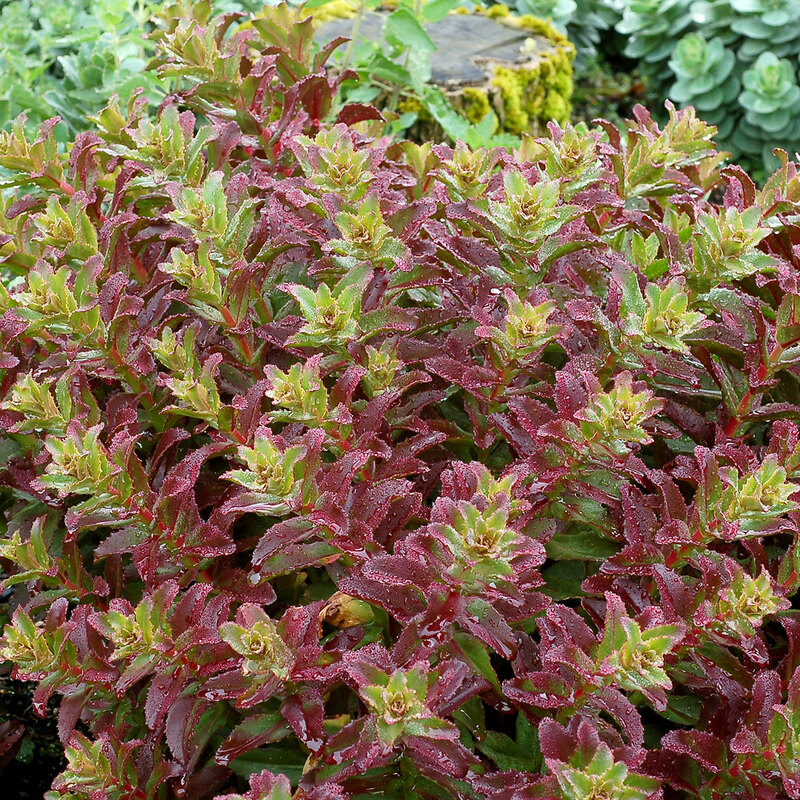 Red leaves in spring change to olive-green and red-brown. 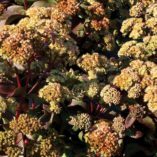 Late summer sees creamy yellow flowers covering this compact, multicrowned plant. 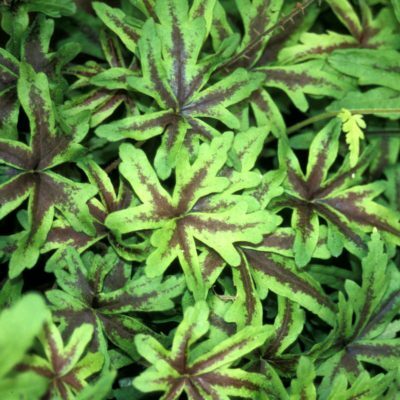 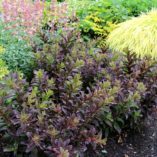 7" / 16" / 10"
Leaves are a two-toned red flame on ends and blue green inside in the spring changing to red brown in the summer. Creamy yellow flowers. 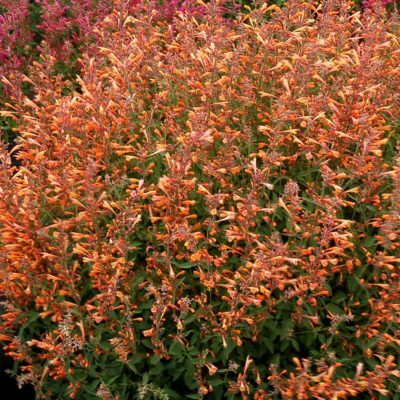 Low multicrowned habit. 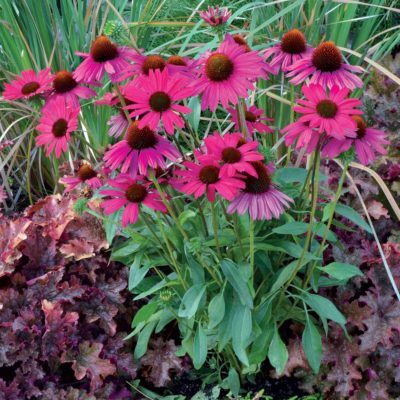 Mixed beds, borders, rock garden or containers.